Kristina Sobstad in large scale paintings on canvas with oils. She is nominated in the Emerging Artist catagory. 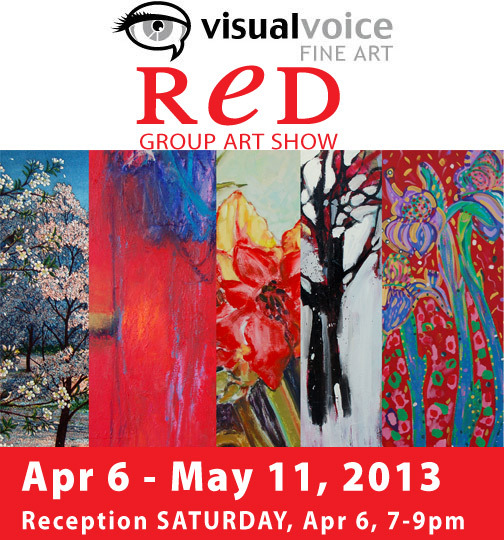 Let's celebrate some of the best artistic talent St. Albert has to offer. That's the message coming from the 2014 Mayor's Celebration of the Arts Awards committee. This Friday, March 14, the Arden Theatre will be alive with an evening of awards and an eclectic mix of performances to awe and inspire. Topping the list are tap dancer Paige Tirs, spoken word artist Troy Sherdahl, singer-songwriter Doug Hoyer, composer-pianist Jan Randall and Three Form Theatre performing an old-time radio drama. But the nominees are the real stars. "It's important to continue recognizing art. We get caught up in the world of celebrities and don't think about arts generated at a grassroots level. There's so much good work done by artists at a grassroots level," said awards chair Mark Moran. Just prior to the awards ceremony, an Arts Slam will be hosted with three visual artists going head-to-head in a bid to produce a piece of art in 45 minutes. • Grace Bokenfohr – A triple-threat performer, Bokenfohr has studied dance at Dance Co., competed at Rotary music festivals and acted at St. Albert Children's Theatre and Citadel Theatre. • Lauren Boyd – A Paul Kane alumna, Boyd performed with St. Albert Children's Theatre and the Citadel's Young Musical Company. She is co-founder of No Tomatoes Theatre and is studying a theatre performance program at Sheridan College. • Karina Cox – A first-year musical theatre student at MacEwan University, Cox performed as Wendy in Peter Pan, Elizabeth Proctor in The Crucible and as Ariel in The Little Mermaid. • Yasmeen Najmeddine – A 15-year-old singer-songwriter, Najmeddine has released three original songs on iTunes. She also sang lead in the United Way Change Starts Here video and placed ninth at The Next Star. • Deen James Nault – A student at St. Gabriel Cyber School, Nault is a published poet and a novelist of edgy, alternative literature. He was featured in Chupacabra House's chapbook Radical Disclosures. • Julia Nicholson – A 15-year-old singer-songwriter attending Paul Kane, Nicholson has competed as a finalist at Northern Star Talent Search and performed at Big Valley Jamboree. She recently released a single, Dangerous Love to iTunes. • Luc Tellier – He has appeared in 13 St. Albert Children's Theatre productions including the title role in Peter Pan. He recently played the lead in Young Frankenstein at MacEwan University and last summer participated in two Freewill Shakespeare Festival productions. • Alex Zaichkowski – A finalist for YTV's 2013 The Next Star, didn't win but savoured his experience spending a summer in Toronto filming. The 15-year-old singer-songwriter has also performed at numerous school events and concerts. • Ina Dykstra – A longtime St. Albert resident, Dykstra has a bachelor of music in piano performance from the University of Alberta. She teaches a wide variety of students from the very gifted to special needs. She also performs and has recorded for CBC. • Glenda Haughian – A longtime art teacher from Fort McMurray and Grande Prairie, Haughian switched gears after moving to St. Albert. She is the education curator at the Art Gallery of St. Albert and this year retires from her position. • Peg McPherson – Past president of the St. Albert Painters' Guild, McPherson's aim is to convey the richness of life through her membership, classes and artwork. • Sharon Moore-Foster – This visual artist has a BFA degree from the University of Alberta. She is a master sculptor an energetic educator ready to engage, provide and inquire. • Galen Noland – Since 1995 Noland has taught harp at Visionary College and his mission is to pass on his love music. A graduate from the University of Alberta music program, he continues to study harp with ESO harpist Nora Baumanis. • Dixie Orriss – Owner of Pygmalion School of Fine Art, Orriss also works in acrylic, oil and watercolour. She has exhibited in Canada, France, Italy and the United States. • Jacqueline Pooke – A dance educator who grew up in St. Albert, Pooke is choreographer and assistant director for St. Albert Children's Theatre. Her passion for teaching has expanded to the faculty of MacEwan's theatre arts program and the Citadel Theatre's Young Companies. • Steven Angove – He is a St. Albert Children's Theatre alumnus, graduate of MacEwan University and founder of Three Form Theatre. Angove has performed in a touring show for Alberta Opera and for Plain Jane Theatre. • Andrew Boyd – The 2012 recipient of the Rotary Music Festival's prestigious Rosebowl Award, Boyd has also performed lead roles in varied productions such as Little Shop of Horrors, Bloody Bloody Andrew Jackson and The Winter's Tale Project. • Daniel Evans – The Sturgeon County sculptor made a splash in Keys for the City designing sculptures of St. Albert buildings tacked on a piano. • Valerie Harbig – She has a broad artillery range from painted murals, airbrushing and large scale screen printing to illustrations, performing live body art and body painting. • Martina MacFarlane – Born in Vancouver, MacFarlane now lives and paints in Edmonton. A BFA student from the University of Alberta, she works mainly in acrylics, oils and also dabbles in etching and screen-printing. • David Scott – A talent from New Zealand, Scott came to Canada on a working holiday. He paints Alberta's vivid landscapes and its people, favouring a bright palette and stark contrasts. • Kristina Sobstad – Canadian-Norwegian visual artist Kristina Sobstad has taken part in more than 50 group and solo shows since 2007. Her art is exhibited across Canada and Scandinavia. • Neda Yamach – She joined the first violin section of the Edmonton Symphony Orchestra in 2011. She also is a member of Kent Sangster's Obsessions Octet, the area's top jazz ensemble. Yamach has performed twice at Carnegie Hall with the ESO and the octet. • Lauren Boyd – See Youth Artist. • Alex Zaichkowski – See Youth Artist. • Rick Rogers – This local artist working with acrylic and mixed media came back to art in his 40s after a long hiatus. A co-owner of the Daffodil Gallery, he favours abstract and figurative compositions. • Jeff Stuart – A songwriter and lead singer of the indie pop-roots-rock band Jeff Stuart and The Hearts, Stuart has charted on independent radio networks across Canada and been featured in major TV productions. 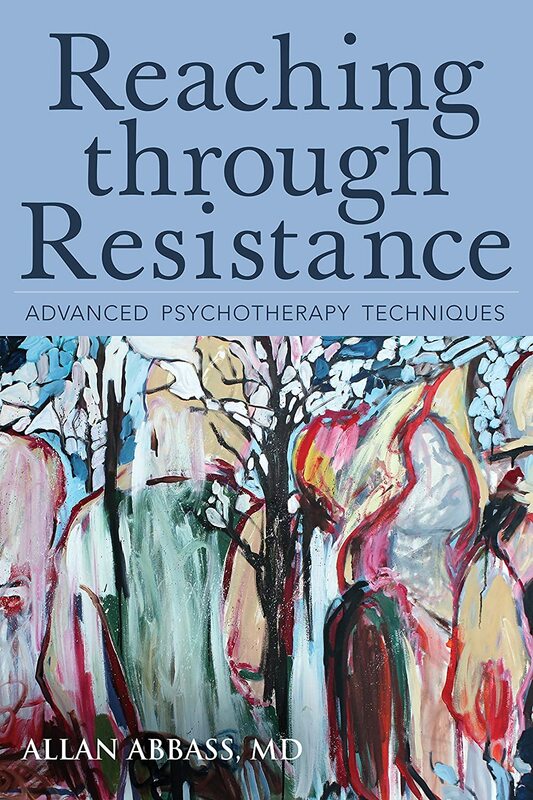 • Peg McPherson – See Excellence in Arts Teaching. • Sharon Moore-Foster – See Excellence in Arts Teaching. • Dixie Orriss – See Excellence in Arts Teaching. • David Scott – See Emerging Artist. • Friends of St. Albert Children's Theatre – A fundraising arm of 14 volunteer members for the musical theatre troupe. • Mark McGarrigle – A professional musician with 25 years experience, McGarrigle is a co-founder and driving force of St. Albert Theatre Troupe. A dedicated amateur thespian, McGarrigle directs, acts, builds sets, works the light and soundboard. • St. Albert Cultivates the Arts Society – A volunteer organization that develops StArts Fest. • St. Albert Potters' Guild – A non-profit liaison group that offers workshops, classes and symposiums to like-minded artists. • Martha Livingstone – Through Visionary College, Livingstone has earned a spotlight as an educator, performer, administrator, director, music composer and supporter of the arts. • Carol Watamaniuk – She developed the first City of St. Albert cultural department. While serving on council for 12 years, she was a powerful advocate for the city's arts and culture. She now serves as president of the Visual Arts Studio Association and is a committee member of the art in public places committee. • Mark McGarrigle – See Community Arts Group. • Dixie Orriss – See Established Artist. • Michael Lazar – He is the only classical guitar maker in northern Alberta. Since Lazar started fashioning hand-made guitars in 1981, he has made 107 instruments. 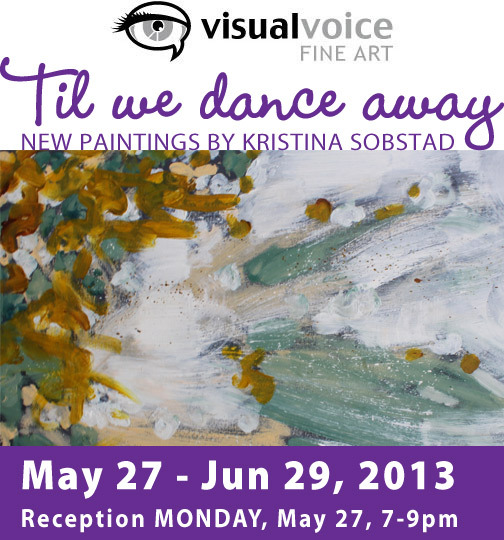 Visual Voice Fine Art proudly presents new works by Kristina Sobstad. From the small to the very large, the abstract oil paintings by the up-and-coming artist, are full of vibrant colour, confident brushstrokes, and unrestrained free form. Inspired by the everyday, with a modern aesthetic to match, they are anything but common place. As the artist explains, "it is about embracing spontaneity in life, simple interactions and experiences, the here and now, 'Til We Dance Away". The FREE opening reception on Monday, May 27 from 7 to 9 pm, drop by and meet Kristina, and enjoy some refreshments & nibbles; and of course, see the art! Showing this month: "a utopian world of gray shades" by Margarita Fainshtein, "Ancient Wounds" - new work by Angela Grace Jewelry, and "Winterscene" - a juried group show celebrating winter landscapes. A giant thank-you to all of the artists who submitted work to our open call for Winterscene, as well as to the jury members. The response was overwhelming, and despite the long list of participants there were many more talented people whose work wasn't selected, or who were but couldn't participate due to timing. Artists participating in Winterscene are: Anne Bastedo, Curtis Botham, Marshall Burgess, Sarah Jane Conklin, Phillip Doucette, Lise Gagne, Geoffrey Grantham, Alison Grapes, Robyn Howell, Virginia Houston, John Mitchel Inglis, Vaughan Irwin, Lynn Johnson, Laura Kenney, Susan Jardine, Maria Kuttner, Ron Kuwahara, Susan Malmstrom, Paulette Melanson, Carol Morrison, Kimberly Naumann, Helen Opie, Joy Pennick, Pamela Marie Pierce, Rachael Peters, Andrea Pottyondy, Andrea Redmond, Tacha Reed, Sue Robinson, Linda Roe, Mariette Roodenburg, Beatrice Salsman, Colette Samson, Emily Seaboyer - Locusart Jewelry Designs, Brianna Corr Scott, Carol Smeraldo, Rae Smith, Kristina Sobstad, Gail Sutherland, Anna Horsnell Wade and Louise Williams. Shows run until March 2nd and images of works in the shows will be posted to our website in the week following the opening reception. See you Swoon!